In the world of countless webpages as today, making your websites outstanding and solid is absolutely not an easy thing. It even becomes more confusing and exhausted when you learn how to make that happen. So many tasks to do, so many details to pay attention to, which makes online marketers confused and do not know where to start everything. Let’s get into detail a little bit, you may need professional email autoresponder which helps you deliver messages as well as keep in contact with customers. The whole task may seem complicated and enormous but let me tell you one little secret. You just need to find the right tool to help you do that. Let me introduce you to Builderall which is the main topic in this article to day. This tool will give you everything you ever need to build a website and all the marketing gig in just minutes. What is Builderall? Builderall is a platform to build websites for your online business nowadays. It combines all the tool you need into one product and therefore gives you the best results you ever wish for. Besides, Builderall also comes with a very affordable price. You don’t need to be a programmer. You don’t need to be a web designer. You don’t need to write code. And you definitely don’t need any experience! With Builderall you can put a website online in minutes. Just edit one of our thousands of professional templates with your own information, content, and images! With our super-intuitive technology and hundreds of detailed tutorial videos, you can become an expert in internet marketing and making great websites with alluring applications for your business. Why should you buy BuilderAll? Unlimited benefits If you use Wix plan, the chances are that you can just link only one domain to your site. And this even cost you about $25 per month. However, with Builderall, you get to link countless websites as well as domains and subdomains. Moreover, you also get access to lots of advanced digital tool easily. The next benefit I’d like to mention in this Builderall Internet Business Platform Review is lead pages. Obviously, it costs you $79 per month to create a professional webpage. However, the page created is closed to professional at all. You will need another tool. Builderall helps you build websites with a lot more advanced features for just about $29,90 per month. See the difference? WordPress WordPress is a popular platform that provides lots of amazing features for users. However, it requires users a certain level of proficiency in using its tool. And to do that you have to purchase some more tool or install some more plugins. Builderall is completely different, you wouldn’t need to install anything or buy any additional products to be able to run the websites. Easy to use This one is my favorite thing about Builderall. It takes me just minutes to launch a new website. Amazing, right? Compared to other ordinary software, it may take you hours or even days to launch one, not to mention it is not professional enough for you to use. Animated video creator Here you can create interesting animated sales videos with many animation tools in Builderall. You can build our own characters or choose from a thousand of characters available. Either way, you will get an amazing and lively sales video to post on social media. Professional E-mail marketing The first special feature I would like to mention is its email marketing system. Builderall allows you to find new customers as well as improve existing customer relation management. The email marketing system from Builderall is out of the world, I must say. Create & Automate new visitor and existing customer relationships with our Complete Professional Email Marketing System. Develop Autoresponder Campaigns quickly and simply, manage leads using tags, and apply behavioral triggers. You can also send unlimited emails to up to 10,000 subscribers with your Builderall account. 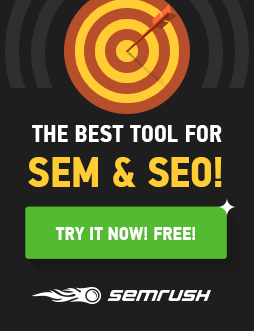 SEO tools It is surprising to know that Builderall even provides SEO tools. How cool is that! Now you ca have all the information you need to build an SEO-ideal page and get the highest outcomes. HTML5 (Drag & Drop)​ Sitebuilder Build professional websites, virtual stores, sales pages, Lead Capture Pages, or any other type of Internet Marketing Page with our incredibly intuitive Sitebuilder. Easily build the website you imagined with our Drag & Drop Technology and dozens of other integrated applications. Responsive website/​Blog Builder Manage your pages in minimal time with our responsive Website/blog builder. Organically reach top results in major search engines like Google with our optimized system. In addition, create responsive opt-ins and squeeze pages in just minutes. Floating Videos Creator Surprise and impress your visitors by sending your message in a unique way with our exclusive Floating Video technology. Boost your authority by making a floating video for your website in minutes, without the need for expensive professional equipment. Design Studio Mockups Easily design incredible images, videos, and Facebook posts that grab attention and drive viewer action much more effectively than a standard Facebook post. Develop your own e-book covers, infoproducts, and mockups with our exclusive Design Studio feature. Presentation Builder Craft an interactive way of communicating with your website visitors with the Builderall Interactive Presentations Tool. Download your work, create a custom URL, and integrate your demo with your existing website, all with our professional presentation tool. Facebook Integration Collect leads and create lists while building relationships with potential and existing customers. Builderall helps you capture and nurture these relationships with notifications, intelligent posts and apps, directly integrating into Facebook fan pages. Browser Notifications Instantly inform your visitors, followers, and clients of an event, promotion, or offer! Efficiently develop relationships with your visitors, followers, and customers with Builderall Browser Notifications, that they can see while they are online! Lead Capture Tools Advance your marketing strategy with sophisticated tactics and tools through Builderall. Now you can capture leads with Facebook logins, email forms, browser notifications, smart opt-ins, and more. Click/Heat Map Tool The Builderall platform integrates heat maps in your website or blog. You’ll be able to see and track where your users clicked on your pages, and know which areas of your layout are the hottest. And you will have the information to strategically place your Buy Now or Call To Action buttons to increase your conversions tenfold. Android & iOS App Creator Most people look at their cell phones well over one hundred times a day. With the Builderall App Creator, your presence is felt as you are able to offer products and services directly through your customer’s cell phone. Product sales, table reservations, hotel booking, push notifications, image galleries, delivery service and more are among dozens of features made available to you. We also have tons of video tutorials for you to learn from. 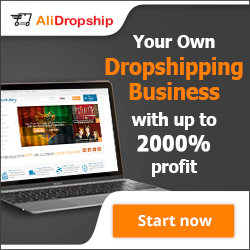 That way, you can bring your business direct to the hands of thousands of users. How does it work? The product is for users of every level. No matter how knowledgeable you are, no matter how proficient you are at technology, you can easily use Builderall to launch new websites. Also, the interface is utterly simple and well organized, I’m sure you can get used to it right at the first time. BuilderAll has a true drag and drop editor with pixel-perfect technology. Price and how to buy it The front-end price for Builderall is just $29,90 – so affordable that anyone can buy it. I should not forget to warn you that if you have any intention to buy it, quickly because there are so many exclusive gifts for early birds. And I am pretty sure they are not any less beneficial and useful than the product itself. Builderall Review – Conclusion Builderall is a really impressive tool to launch new websites. You should not at all miss the chance of getting great help from this amazing companion: Builderall. Thanks for reading my Builderall Internet Business Platform Review and I will see you soon!